Kids can be very lazy around the house if you don’t know the right way to assign them responsibilities in your home. A lack of a chore chart or list may make your kids lazy and give them too much time to engage in less constructive activities. How do chore lists for kids help them out with chores? 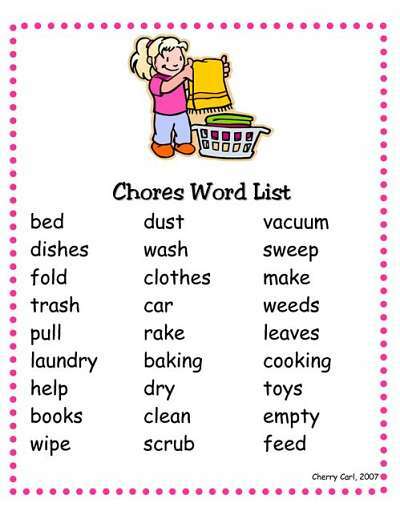 The following are some of ways to you can use a chore list for your kids to get a little help with your housework. 1. Time your kids’ daily routine. Using the charts, you can time your kids’ ability to do specific jobs in your house. This will also help you know whether your child is pretending when doing a particular job or actually doing it. 2. It also allows you to assign duties or chores for kids. Through the chore list, you will assign the chore or duty that fits best for each of your children. You don’t want to overburden them, especially with homework, sports, or other activities. This will help to reduce the number of complaints from your kids about unfair treatment, helping to bring peace and harmony to your home. 3. Test your kid’s ability to work. As a parent, you can never know your kids’ abilities or limits are without using a chore list. You can use the chore list to assign chores according to your children’s age, gender, and passion. This will help to make everyone more efficient and effective when doing their jobs. By using the chore list, you can come up with strategies for how to improve your kid’s efficiency when he or she is doing their household chores. 4. Enable you to determine your kid’s trait. By using chore charts for your kids, you can be able to determine how well your kid can do a particular household chore after you see how he or she does it. This will help you in the future to make the right choice on the kinds of job you will assign your kids. 5. Help kids think about their future careers. The use of chore charts can help you learn the main interests of your child, helping you to understand the kind of career that you want him or her to pursue in the future. 6. Help you invest in the kid. A chore chart will help you learn your child’s strengths and weaknesses so you can focus on properly developing your kid’s traits. It will help you give the best for your kids, allowing them to grow into the people you want them to be in the future. 7. Help you offer gifts for any good kid’s behavior. The use of a chore list for kids is one of the best ways to reward your children after they finish their chores. It will help you monitor their performance and allow you to make a fair and just decision before rewarding them. 8. Help you give kid’s freedom. Through the use of chore charts, you will help your kid find free time to socialize with friends, play games, or do any other activity that they like. 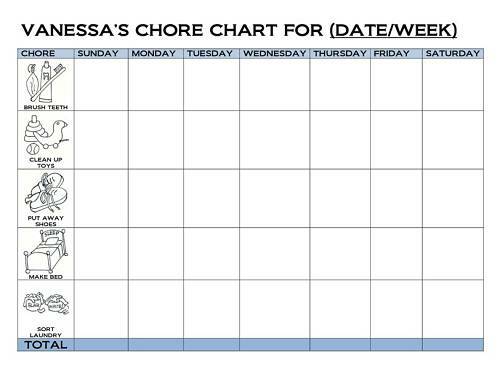 Get free “ printable chore charts ” here. With the above 8 ways to use a chore list for kids , you’ll get a little help around the house and raise responsible kids who will contribute to the wellbeing of society in the future.